Feeding up to 1-4% zeolite (clinopitolite type as used by Imagine Zeolite) added to grain / animal husbandry feedlot mixes, has been shown to significantly increase animal growth rates, decrease feed conversion, prevent worm/scour issues, and increase animal longevity (amongst other benefits). Poultry produce more gradable eggs, . Dairy cows produce more milk. Improved indexing ( meat quality) has been reported. During the 1980’s, researchers adding clinopilote zeolite in the range of 2.5% to 4% of a cattle feed ration showed weight gains approaching 5% over the ‘control’ group and correspondent feed reductions in hay, corn & grain of between 3% to 5%. In one trial (6,000 steers) the zeolite fed animals gained an extra 143 grams/day more than the control group. This represented over 40kgs of extra weight gain during a 280 day feeding period. 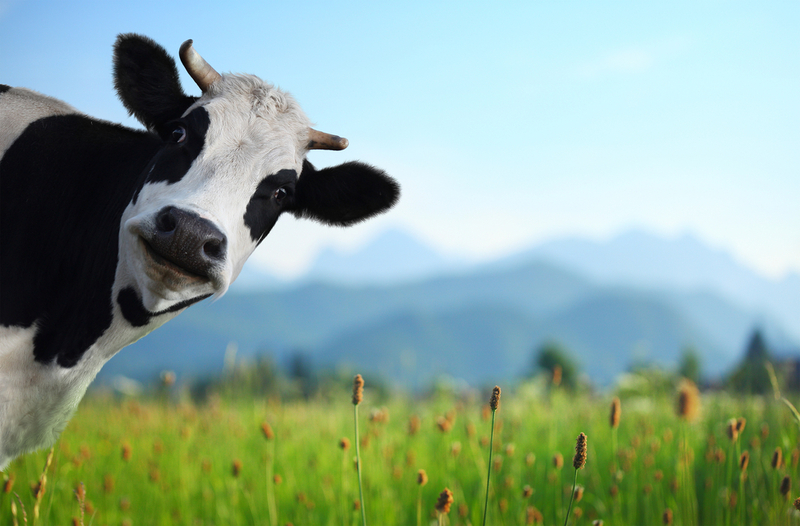 Gain in cattle weight is scientifically attributed to zeolite’s improved microbial activity, more effective rumen buffering (reduced acidosis) and increased urea (absorbs ammonia). In fact, The U.S. National Academy of Sciences reports that urea increases, alone, associated with adding zeolite can substitute for much of the expensive supplemental proteins used in animal feed at a fraction of the cost; not counting the increased weight gain, health improvements and decreased hay, corn and grain feed requirement when adding zeolite to animal feed. 3) zeolite is a valuable fertilizer & soil amendment carrier – zeolite helps traps nitrogen as part of the solid manure waste (becoming a valuable organic fertilizer) where it can be spread on a field for plant growth – decreasing the loss of manure rich nitrogen to waterways (where it becomes a pollutant). “Labored Breathing” This occurs when the animal tries to correct the acid-base imbalance by adjusting blood carbon dioxide levels. “Lack of Coordination” When the electrolyte imbalance effects the brain of the animal. When zeolite is fed to the animal it absorbs much of the ammonia generated from the NPN. It acts as a reservoir and slow release mechanism for the nitrogen. This can allow the feeding of up to 4 to 6 times more NPN. During rumination a portion of the contents of the first stomach is returned to the mouth for additional chewing and saliva additions. Saliva introduced during mastication contains sodium which replaces the ammonium. This results in the slow release of the un-reacted ammonia which is then converted to amino acids and proteins by the microorganisms. Zeolite which contains approximately 1.6% calcium, can exchange calcium for the ammonia naturally produced by the animal’s digestive process. It adsorbs the ammonia, which then passes with the zeolite through the animal’s lower digestive tract without reacting further. Zeolite also acts as a pH buffer in the rumen and helps reduces acidosis. Better Phosphate Utilization: Zeolites exchange the calcium in dicalcium phosphate and other phosphate sources which increases the solubility and utilization of phosphate in bones. It may allow for up to a 50% reduction in the feed ration of dicalcium phosphate. Odour Control: Increasing legislation is mandating the control of odor. The most effective way to control odor is to feed zeolite in quantities of ½% to 2% of the total ration. The zeolite exchanges the ammonium cation in the alimentary track before it gases to ammonia and creates odor. Mycotoxin Binding: The use of zeolites as myco-toxin binders is not recognized by the USDA in the United States. Nevertheless, the effectiveness of zeolites as myco-toxin binders is recognized in many other countries. Literature and studies validating these claims are pervasive. Anti Caking Agent/Flow Agent: Zeolite helps as a flow agent and anti-caking agent with urea and other oils. It is currently certified by the Canadian Food Inspection Agency. Increased Pellet Durability: Zeolite allows higher temperatures at the pellet mill that reduce friction and allow higher production rates. The increased temperature enhances gelatinization and creates a more durable pellet. Increased Animal Welfare and Reduced Mortality: Continuous feeding of zeolite often results in greater animal longevity. Greater animal health creates better animal welfare, better products, greater production, and lessens the usage of antibiotics and medicines that may have lasting adverse effects to the human population.